Hey, dog lovers! Check out the very best dog houses for every kind of dog (and budget) in 2019. As every dog parent knows, dogs actually love being "in the dog house." Now, I’m not talking about being in trouble (although our pooches definitely get into their fair share). Rather, dogs — like their wolf ancestors — crave a place to snuggle, sleep, and get away from the fray. Whether your dog is your best friend, your "fur baby," or part of your family, you want them to be cozy and comfortable when they're at home, and that means getting your pooch a dog house. When it comes to buying your dog a home of their own, the options are pretty endless, and that can make the process overwhelming. So, if you're searching for the best dog houses to buy in 2019, look no further. We’ve got you – and your dog – covered. First, you need to know your dog, their needs, and preferences. Are you looking for a durable outdoor dog house to protect your pet from the summer sun or winter snow? Or maybe your dog needs a cozy retreat inside for chilling out in your city apartment? Perhaps you’d prefer a multipurpose dog house that can be used both indoors and outdoors? There’s a great dog house for your dog, you just have to know what you're looking for. There are dog houses for the biggest and smallest breeds, and to match any taste from traditional wooden dog houses to elaborate Victorian two-story tiny homes for your furry BFF, and even dog houses with rooftop views, to pamper your pooch. 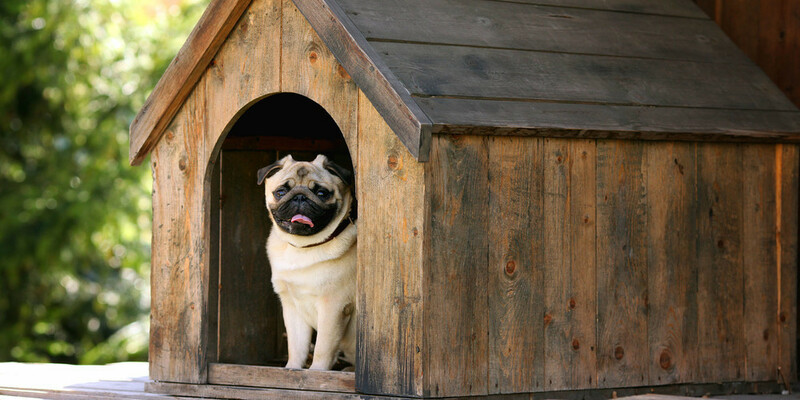 Whether you have a huge yard or a small apartment, a petite pug, an active Australian shepherd, or a massive mastiff, or a particular pup with their own dog house-hunting wish-list, there’s a dog house that’s a perfect fit for your home and your dog. 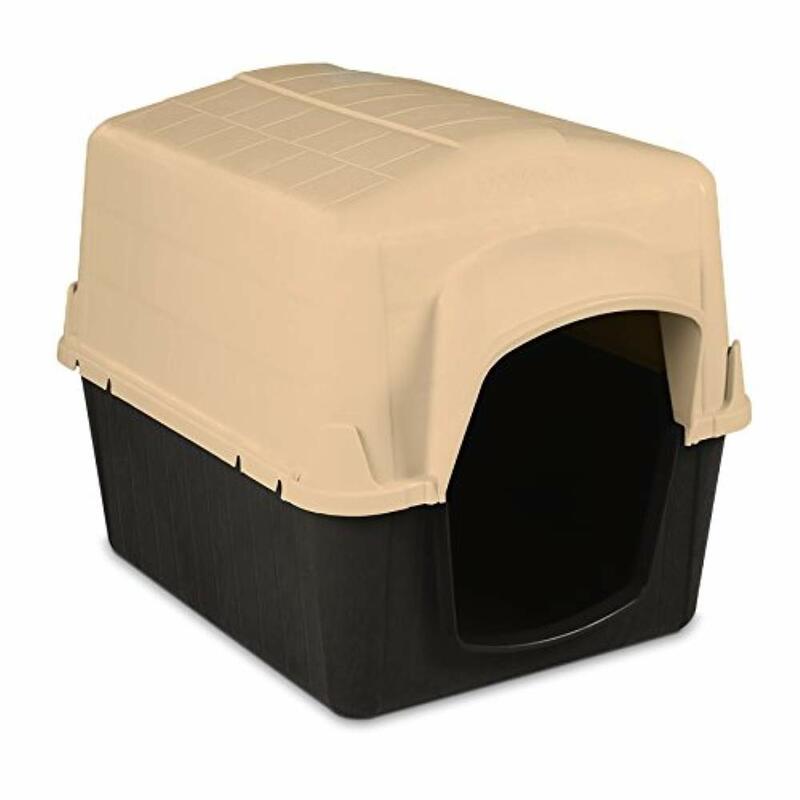 Even dog moms on a budget can find a basic plastic dog house to meet all of your needs, and withstand both harsh weather conditions, and the most energetic puppy. Read on for the best dog house options available in 2019 for every dog, and every budget, and be sure to bookmark this article so you can find it when you start shopping for your next dog house. If you have a large dog, finding a big enough dog house can be a struggle. You want to make sure it’s a perfect fit for your dog and that they won’t destroy it as soon as it’s out of the box. If you are looking for a durable – and adorable – option for a larger dog, the Suncast DH350 Dog House is easy to assemble, and hard to break, and fits dogs up to 100 pounds. This house is seriously big, measuring 33 inches wide, 38.5 inches deep, and 32 inches high. At just $64, the Suncast DH350 is an affordable option for even the most budget-conscious dog mom. Features like a removable roof for easy cleaning, and plastic door flaps to keep out cold weather earned it a spot on Review Tube’s top five dog houses on YouTube, as the best option for large-breed dogs. In addition to having an adorable name, the Pet Squeak Arf Frame Dog House is available in x-small, small, medium, and large to be a perfect fit for your pooch no matter what their size.This stylish A-frame dog house is made from white cedar to withstand outdoor weather of all types, and is raised off the ground to prevent flooding when it rains. It is easy to assemble, and boasts hundreds of five star reviews on Amazon, where it retails for $65-$149.99. To learn more, check out this review on Dogsavvy.com. One Amazon reviewer writes, "VERY impressive little unit! I bought an XS size, and it's really a fine piece of work in every way. First of all the price for it is great for an all wood constructed house, the shipping was FAST, and arrived very cleanly packed and well organized. Can be put together with a single screwdriver in less than half an hour, the construction is amazingly top-notch, it looks beautiful. The one thing to be aware of is you should buy it well ahead of the time you're going to NEED it, due to the wood stain the odor is quite strong and you have to let it sit outside for at least a couple of days to let the smell dissipate. This is normal with wood stains though. I recommend this product very highly." 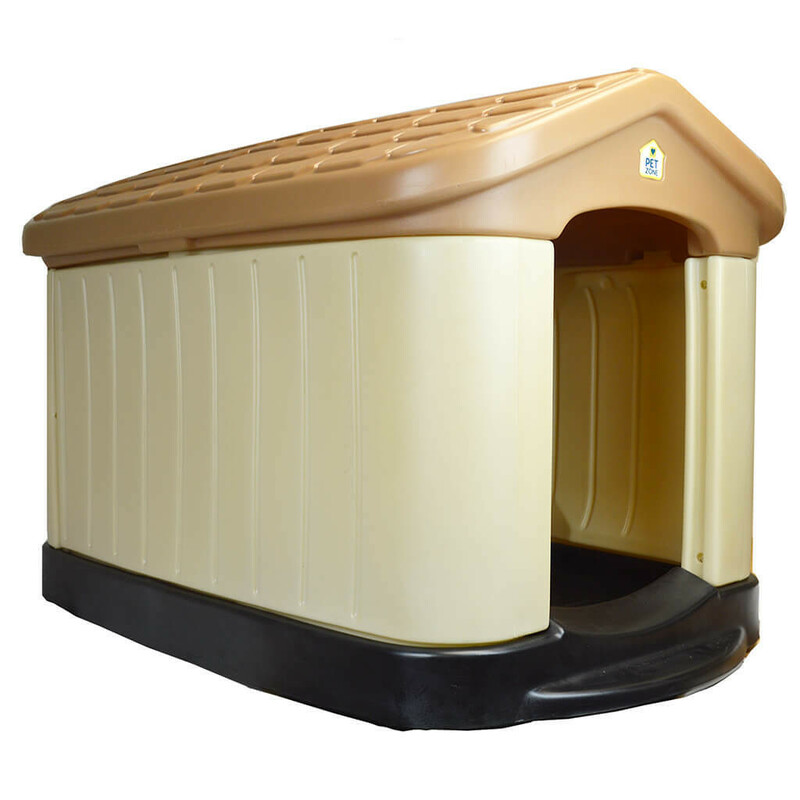 Dog moms looking for an easy to clean and assembly option should consider the Pet Zone Cozy Cottage Dog House. 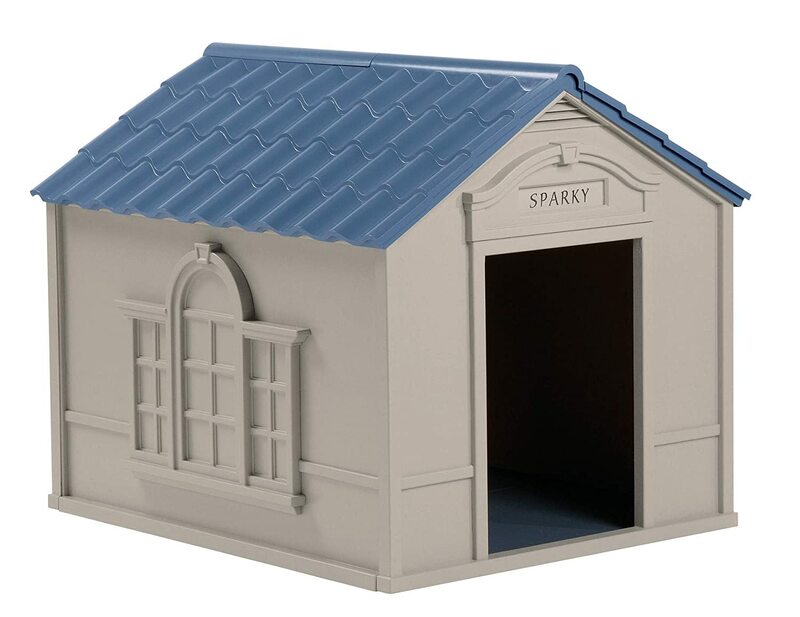 This smaller dog house snaps together with ease, features a detachable roof, and measures 23 inches wide by 28 inches deep, making it a perfect choice for your small and mid-sized pooch, up to 75 pounds. One dog mom loved her purchase: "I am SO glad I bought this. It took me 5 minutes to put together and no tools. It looks so nice, nothing to fade or peel. I chose this over a wood dog house b/c plastic things don't attract spiders like wood does, and where I live, that's a very big deal. Plus, it's so easy to disassemble and hose off. Dog loves it. Kids love it. I love it, and I love how lightweight it is so I can move if needed. I put it on top of some rubber door mats to keep off the concrete for warmth and put a pad inside. It has a tiny air vent at the top below the roof which will be nice for summertime. This is a fantastic dog house. SO GLAD to have found it." If you are looking for a basic house for dogs of any size, look no further than the Aspenpet Pet Barn 3. 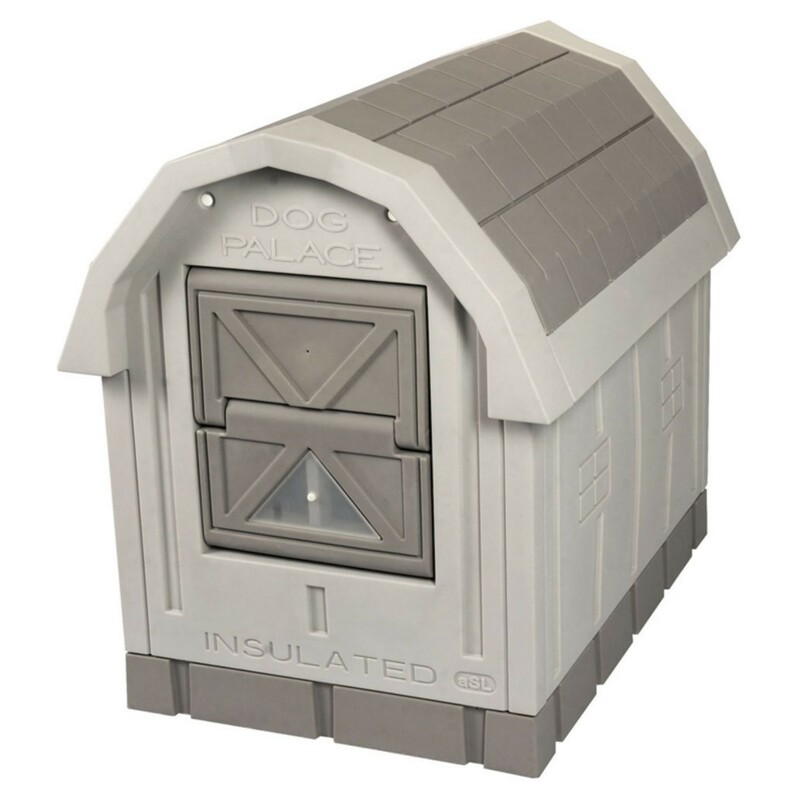 This rugged plastic model comes in four sizes, the biggest of which can accommodate dogs up to 90 pounds. Priced at $40.11 to $69.99, these dog houses are as affordable as they are tough. According to one Amazon reviewer they are great for dogs who like to chew. They write, "I have BIG dogs who like to chew. My dogs like to sit on top of their houses and "guard" the back yard and after having 2 of these houses for well over a year, they are still as durable as when they were delivered. I can sit on top of them with no problems (and I am over 200 lbs) and my dogs have chewed on the sides when they've been bored. 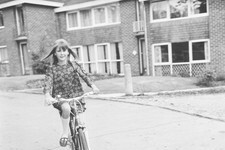 We bought them nice, expensive, wooden houses before and they had them chewed up and destroyed within a few weeks. 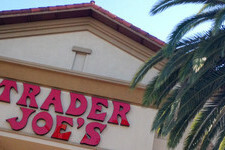 I would highly recommend this house, especially if you have large breeds like I do." The Pet Squeak Princess Pad is perfect for your little puppy princess. 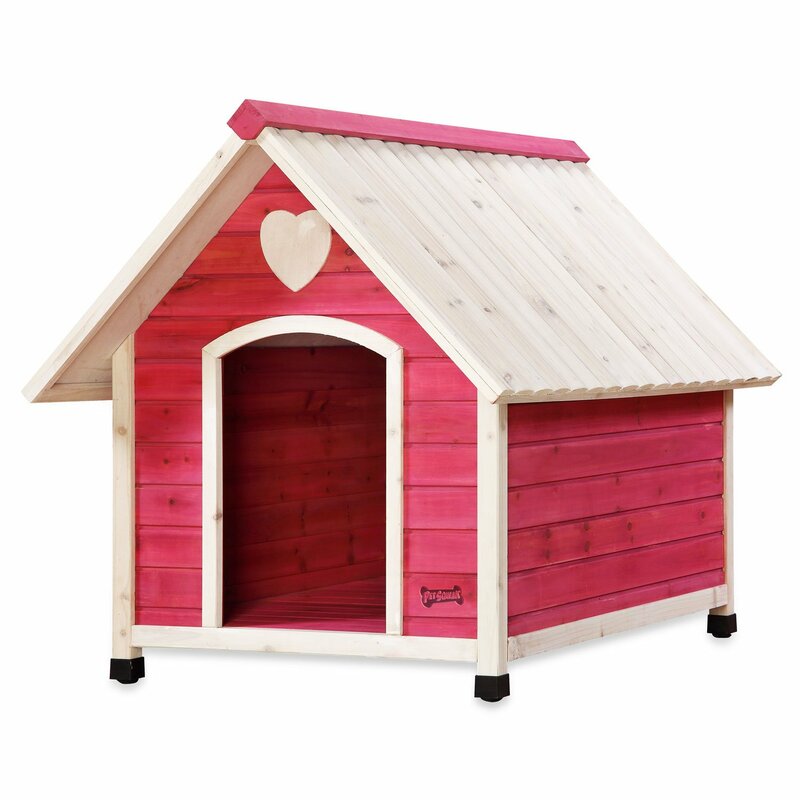 Priced at $57.99 to $159.99, this wood doghouse features the same cedar construction as the Pet Squeak Arf Frame, with pink and white stain and a decorative heart. According to the manufacturer, this house is best suited for dogs who like a cozy, den-like house to snuggle into, which can be important in cold climates and protect your dog from the elements. They recommend an extra small Pet Squeak Princess Pad for small breeds weighing up to 15 pounds, like chihuahuas, and their large dog house for medium to large breeds from 51 to 80 pounds, like golden retrievers. To learn more about how to pick the right size dog house for your dog, check out this guide from callingalldogs.com. One five-star Amazon reviewer writes, "Well worth the money! We have a golden lab and a pit/vizsla, both around 55 lbs, who stay outside almost year round. 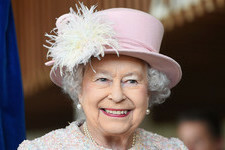 They seem to be very happy in the palace, even when the temperature is in the 20s. The insulation and the door keep them out of the wind and elements, very happy we bought this!" 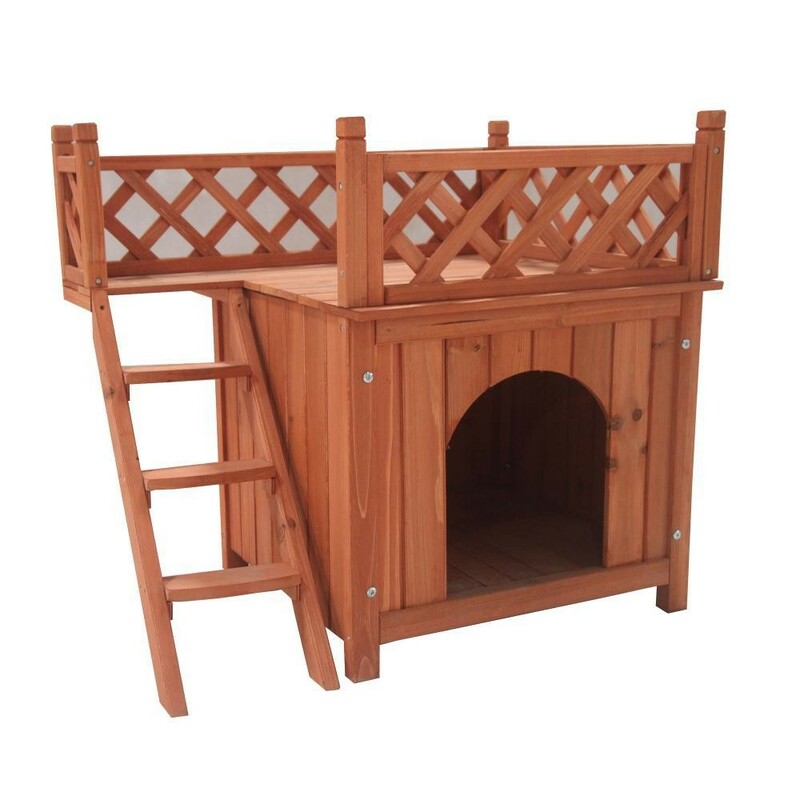 For small dog owners, the Merry Pet Wood Room with a View Pet House is a great option. Featuring a raised base, an indoor lounge and stairs to a luxurious rooftop patio, Fido or Fifi may never want to leave. Even better, you can use this dog house indoors, too, if you want to create a cozy window perch or living room hide-a-way for your puppy pal. At $73.90, this house is adorable and affordable, and has earned over 500 five-star customer reviews on Amazon. One dog mom reviewer raves, "Our little pup loves her house....and so does everyone who sees it! It was very easy to assemble and sits in our living room. We fashioned a "gate" on the front and did a couple of other modifications to use in place of a crate." 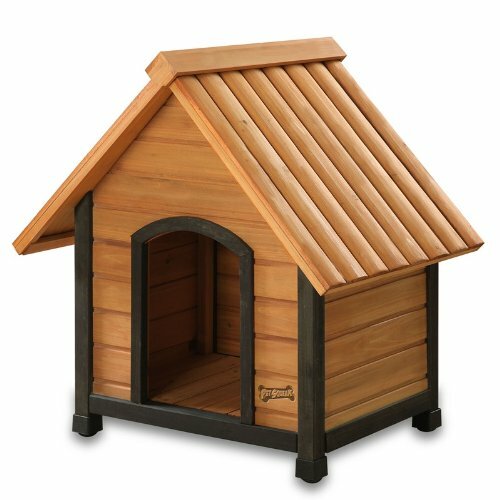 If you prefer a wooden house but like clean lines and a more modern look, the Precision Pet by Petmate Log Cabin Dog House is a great choice. 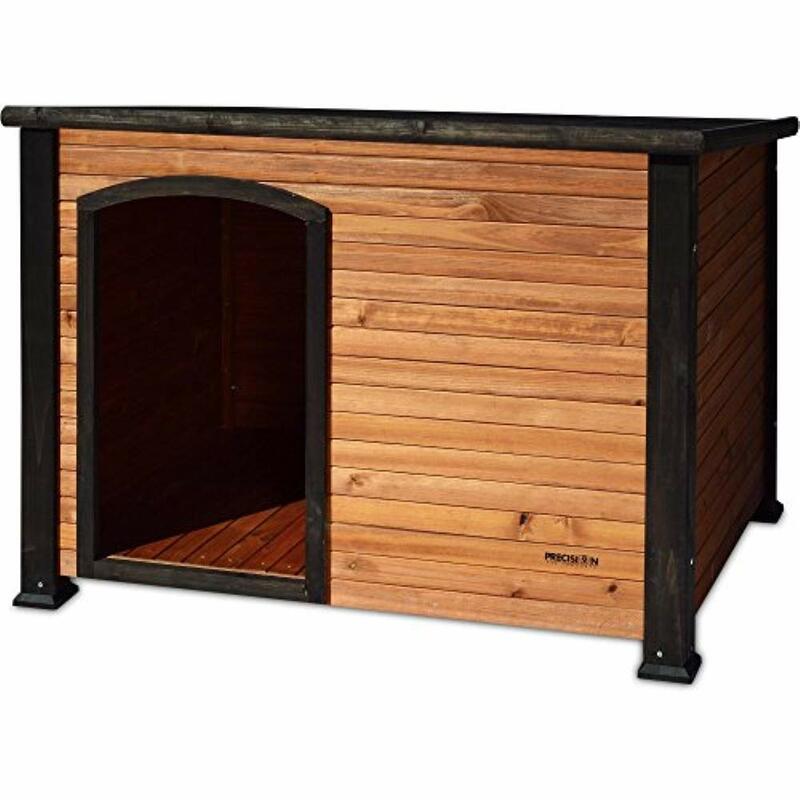 This dog house is constructed from solid wood, with an asphalt roof and stainless steel hardware, and features adjustable feet and a raised base to allow for easy installation on uneven terrain and to keep your dog dry when it's wet outside. 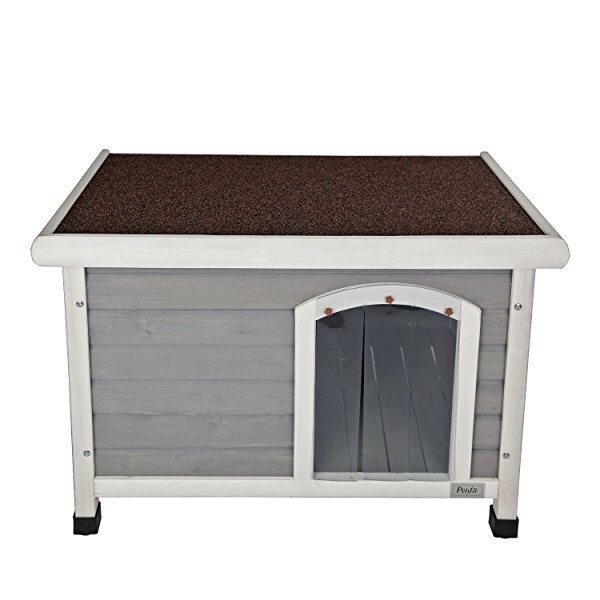 Priced from $84.99 to $119.99, this dog house is both stylish and affordable, and comes in grey and natural, and three sizes for tiny and massive dogs alike. While there's some assembly required, if it seems intimidating, you can check out this how-to video on YouTube, for tips direct from Precision Pet. If you have kids of the human variety, you probably already love the Step 2 brand for their outdoor toddler toys, but you might not know Step 2 also makes dog houses. How cool is that? 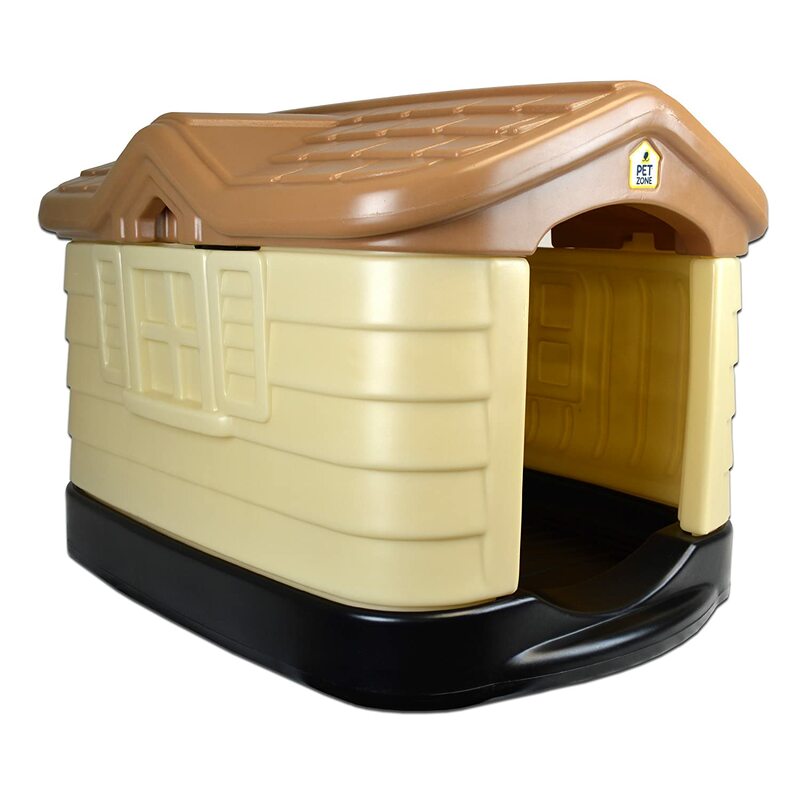 The $180 Our Pets Tuff-N-Rugged Dog House from Pet Zone is constructed from the same seemingly indestructible and easy-to-clean plastic as their toddler toys, which enables it to stay outside year round without fading. It's no wonder that it earned a Consumer Digest Best Buy Award. You can check the Our Pets Tuff-N-Rugged Dog House in action on this YouTube review. For another all-weather option you and your dog will love, check out the Petmate Indigo. This dog house snaps together with no tools required and comes in medium, large, and extra-large sizes. 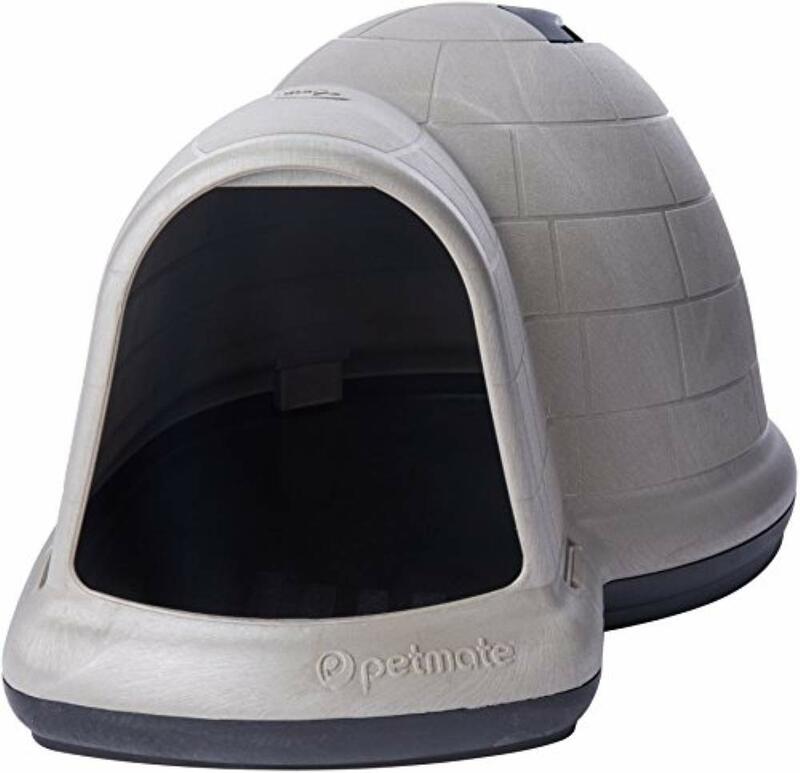 Priced at $289, this igloo-shaped dog house is one of the more expensive options on our list, but it comes with features like side-moats to keep your canine dry and is made from antimicrobial plastic that promises to prevent bacteria growth (and the smells that come with it). To learn more about the Petmate Indigo, you can check out this review on YouTube. One satisfied customer writes: "Very happy with it..And what's of more importance is Nick Likes it. He is only outside a little in the mornings and a little in the evenings, but every time I open the back door to let him back in he comes out of his igloo. He is 80 lbs and the large is perfect for him. My boy's happy, I'm happy." Functional and pretty, this Petsfit Wooden Dog House is made of solid cedar and painted with water-based, dog-safe paint in your choice of red, grey, or yellow. It is available in three sizes, accommodating dogs up to 75 pounds. The base of the dog house is raised off the ground, which will keep it warmer in the winter, as recommended by the American Veterinary Medical Association. The offset door allows your dog to move easily inside and vinyl door flaps provide additional protection from wind and cold. When it comes time to clean this dog house, the roof opens for easy access. Priced at $159.99, this option is relatively easy to assemble, but if you get stuck, you can check out this instructional video on YouTube. It's no wonder the Petsfit Dog House is one of the highest-rated wooden dog houses on Amazon. As one five star Amazon reviewer puts it, "Stop reading reviews, and buy this already! Ok here's the skinny: this dog house is awesome. It came quickly, had all the hardware, had very easy assembly directions, and went together in an hour. I could have assembled it faster, but I was very deliberate and took my time. It is beautiful. After I finished it I kept staring at it, not believing it was so pretty at such a great price."